This 3,500 lbs. 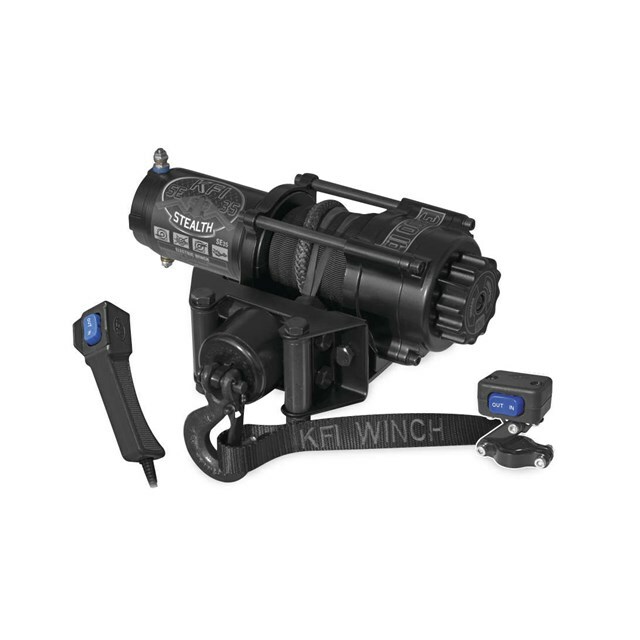 ATV/UTV Stealth Series winch features synthetic cable, cable hook stopper, a dynamic and mechanical braking system, waterresistant seals to keep the elements out, a standard 4-hole mounting design and a heavy-duty all metal turn clutch. Rated line Pull: 3,500 lbs. Synthetic cable: 3/16” D x 50’ L.